Currently most sites haven't linked high resolution icons which Opera 11.10+ could use as speed dial logos. This extension adds such links to site DOM. Therefore it improves speed dial informativeness since logos in speed dial are more readable than site thumbnails. 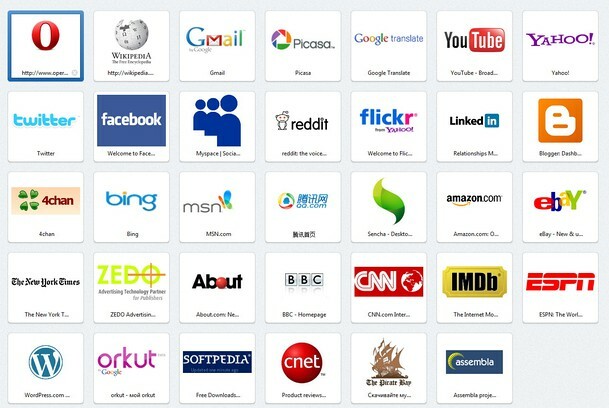 * Most popular sites are supported out of the box as well as some less popular sites - over 250 sites! Images hosted on that sites was used when there are suitable images. Otherwise - images from image hostings. * You don't have to close Opera while configuring logos as in case of standalone logo configurator application. * You don't have to configure logos shipped with extension. 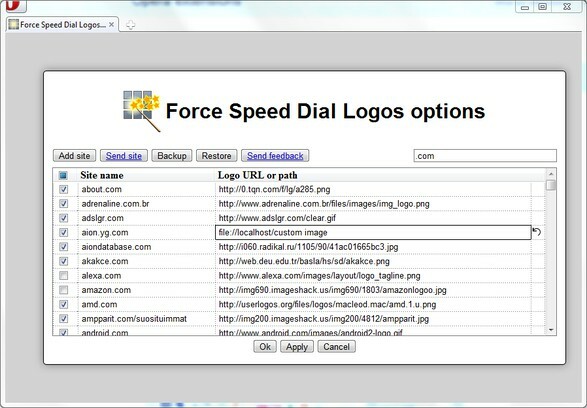 Just use opera synchronization and enjoy speed dial with logos without any additional effort. Of course this is not applied to sites that are not in extension's database by default. copy your data to another computers using backup and restore functions. Even better solution is to send your favorite site's logos to me so I could add them into extension database in future versions. 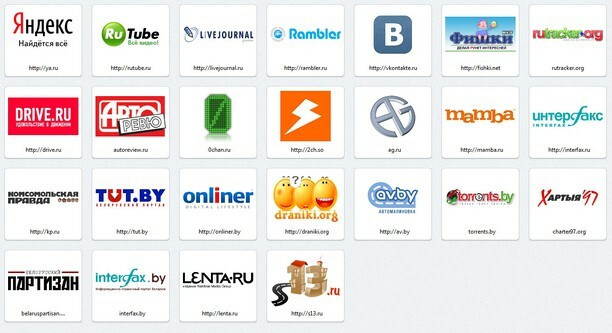 Large source of logos is the site http://userlogos.org. then ensure that this extension is allowed to run on secure sites. and opera:config#UserPrefs|ThumbnailIconMinHeight for example to 30 and 20 respectively. 4. Reload speed dial (reload button or F5 key when empty page with speed dial is active) or reload speed dial items individually. Opera may cache old thumbnails so it is needed to reload speed dial items more then one time.